Let me cut to the chase…the photographer’s best friend is another photographer! What I have in mind is the forming of personal relationships with other photographers that you and I should work at whenever and wherever possible. “Collaborate” is a word often used for this. It is never enough to just “join” a camera club; collaboration involves a concerted effort to build relationships. It is these relationships that pay dividends. I don’t believe I have ever come across a photographer unwilling to share information about a camera, or about Photoshop, or about Lightroom, or about any other piece of software. Also, you might be surprised to learn just how open other photographers are when it comes to camera settings, composition and the like. My experience is that photographers enjoy what they do and like sharing with others. In that same vein, any club worth its salt has a regular schedule of activities that allow (nay, force) you to learn new things and develop and practice your individual skill set. Monthly programs, exhibits, photography outings, to name some. But you must avail yourself of these opportunities by showing up. At this point, I want to put in a plug for the Outings about which you will be hearing shortly; there is no better example of collaboration than this. 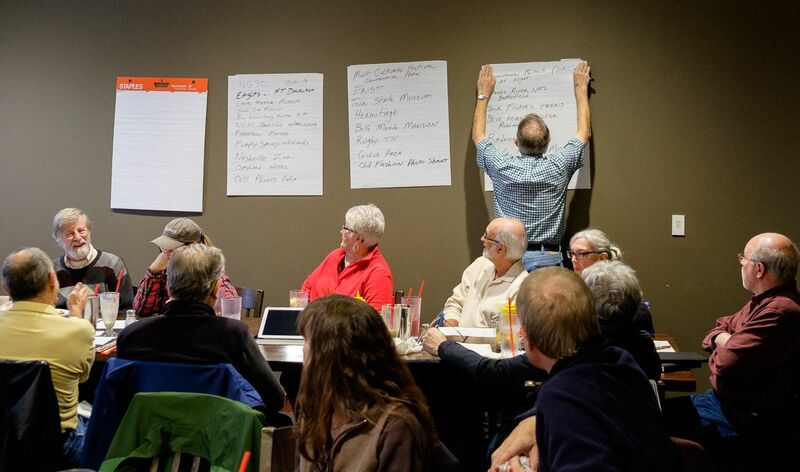 A group of about 25 of us met recently in a planning session. We came up with a list of 36 different places to photograph, ranging from Reelfoot Lake to the Country Music Hall of Fame. Stay tuned. Ed, you have clearly expressed what I have thought for many years, and I couldn’t agree more! Joining BPG has done as much or more for my enjoyment, understanding, and execution of photography than anything I have ever done. It’s not been only the knowledge that I have gained, but also the inspiration and motivationfrom my photo-phriends to keep shooting, that has been the big factor(s).